I never gave much thought to the behind-the-scenes work of a business or even my writing until I started my own business and started building up the company I work for, Author Accelerator. There’s a very specific section of one of our courses that talks about the “why” when it comes to writing and if you’ve been in the business world for a while, you’ve most definitely heard of the “why” behind running a business (also, this post is a great one on the “why” theory). But I think pretty much everything in our lives has a “why,” including some of our most important life-changing decisions. This year, I enrolled in Certified Trauma Recovery Coaching training. It’s a 6-month program that teaches people how to help trauma survivors recover. It was so awesome to see and hear the “why’s” of the other brave men and women going through the class with me. On the surface, my “why” is pretty easy to see. The post below gives a pretty indication of why I have a desire to become a Trauma Coach. I’m Not Ready to Make Nice: An open letter to my abuser. But there’s so much more to it than the simple “I’ve been there” explanation. And it feels like with every new thing I learn through this class, it’s trainers, and the resources we’re given that I find an even deeper “why” than I originally thought. A passage from one of the require reading books stopped me cold when I read it and I think it’s quite possibly one of the most profound things I’ve ever read in addition to being such an amazing “why” for those of us who want to do this work. — Kolk MD, Bessel van der. 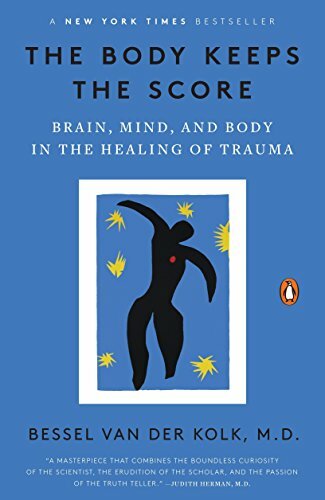 The Body Keeps the Score: Brain, Mind, and Body in the Healing of Trauma (p. 38). Penguin Publishing Group. Kindle Edition. I mean, damn. Every time I reread that first sentence, I get chills. It’s like the quintessential “why” we as humans have empathy. Also, I’ve never been able to accurately put into words the “why” behind my writing as a whole, but that sentence up there has finally done it for me. These two sentiments have done what I haven’t been able to do in a long time: put words to my emotional “why,” and give me a guiding principle moving forward in these two areas.